"The 2011 Book Blogger's Cookbook is a beautiful blend of a cookbook about books. It's worth reading straight through if only to find new books to add to your "to-read" shelf." -Lisa Mangum, author of award winning The Hourglass Door series. 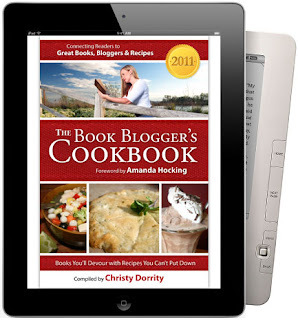 Copyright 2011 © The Book Blogger's Cookbook. Simple theme. Powered by Blogger.